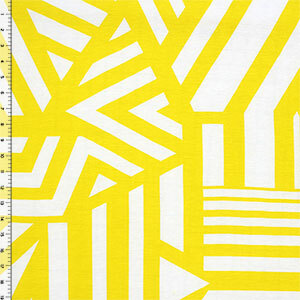 Customer favorite nautical flag stripe design updated with a new pattern in yellow and white on a cotton jersey rayon blend knit. Fabric is soft with a good stretch, nice drape, and is light weight. Pattern repeat measures 25" (see image for scale).